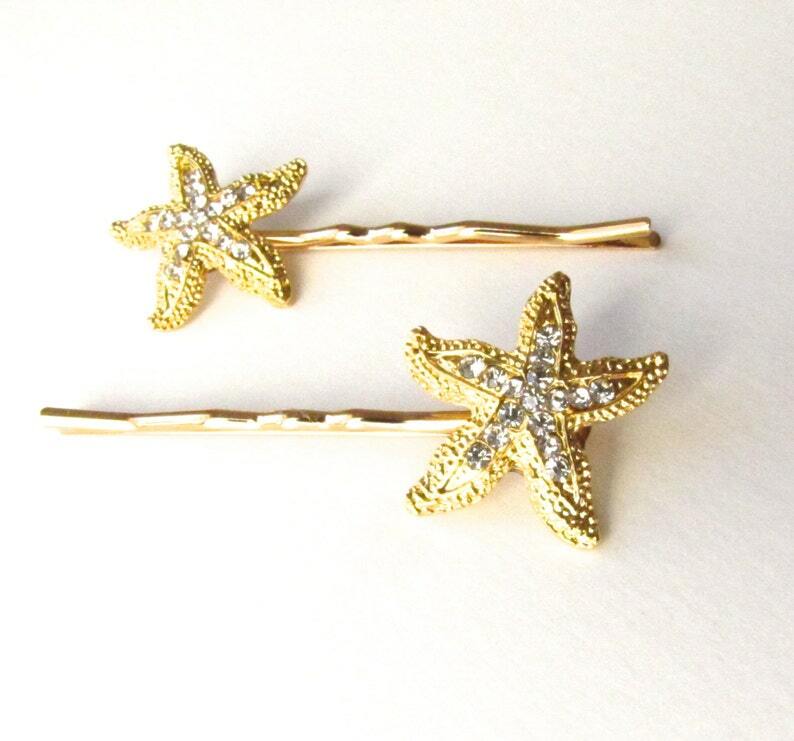 Two (2) lovely starfish bobby pins add the finishing touch to your style on your big day at the beach. The perfect way to sweep back your bangs, or tuck into your birdcage veiling. Great for the bride or the bridesmaids. A wonderful gift idea, too! Perhaps for your bridesmaids. 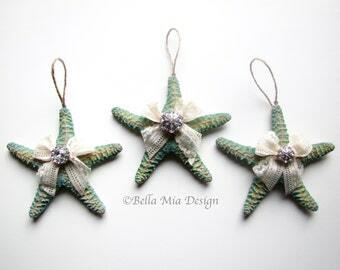 Gold tone textured/embossed starfish are approx. 1 inch (25 mm) and encrusted with sparkling glass rhinestone crystals. On a sturdy 2" (50mm) smooth finish gold plated bobby pin. Securely fastened with jeweler's epoxy. Need multiples for your wedding party? Ask about a multi-order discount. Not intended for children - choking hazard. WA State customers: Sales tax will be added during checkout. Exactly what I needed for my granddaughters for their mermaid Halloween costumes. Can't wait to use them.